We have been involved in viticulture for over three generations: at first on the hills of Mango, a commune in the heart of the Moscato d’Asti area, and then, after a passing chapter in the 60’s-70’s, years in which the agriculture suffered the “peasant crisis”, we resumed our wine-making activity on the hills surrounding the city of Alba, more precisely in Madonna di Como. 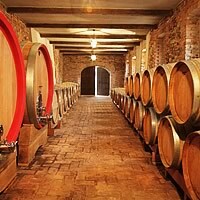 In 1979 we purchased the “Cascina Langasco”, as my parents fell in love with its beautiful setting and landscape. At first we had to replant the vineyards (at that time only the 30% was productive) and then, when we started to process the estate-grown grapes to make wine, we decided to enlarge the cellar in order to have enough room. At the present time we own 25 hectares in one group of which 22 are planted with vines with a south/south-west exposure. We produce approx. 50.000 bottles/year. We are convinced that the mono-cultivation and the specialization are the only ways to a modern wine-making and the best way to obtain a high-quality product with avant-garde technologies, both in the vineyards and in the cellar. Therefore we carefully follow the different ripening phases of the grapes, we green-harvest in July, carrying out a meticulous check during the vinification with soft pressing for the white varietals and controlling the fermentation temperature, for both white and red wines, thus to guarantee our consumers the total authenticity and good quality of the product. The estate Tenuta Langasco is located in the heart of the Langhe, on the hills surrounding the city of Alba, in Madonna di Como (5 Km from Alba). Madonna di Como is a small outlying village within the municipality of Alba, located on a beautiful and sunny hill, where since remote times at first the Celtics in the IV century b.C. and then the Romans started out the viticulture activity, which is still predominant today. It is a well-known area for the cultivation of Dolcetto, Barbera and Nebbiolo grapes: the vineyards can find ideal exposure and micro-climate for their best ripening and sandy-limestone soil that gives the wines great structure yet interesting perfumes. 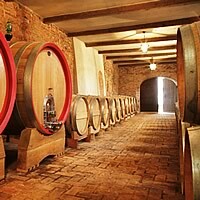 In our estate there are temperature and humidity controlled rooms for the several wine-making processes: vinification, malolactic fermentation, ageing, bottling and storage of the finished product.